Genuine OEM Suzuki Accessory item that is discontinued by Suzuki. Convertible Soft Top Covers for 1992-1996 2 Door convertible Suzuki Sidekicks or Geo Tracker soft tops. Nifty little bag that snaps shut to store your soft top in while keeping your soft top handy when its time to put the top back up! See the diagram and instructions for use below. 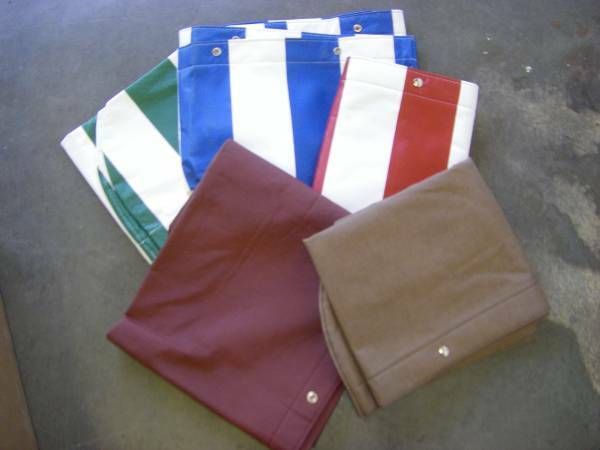 Available in Blue/white stripe, green/white stripe, red/white stripe, garnet or tan. Priced to MOVE!! !